The CTS-24 is a medium-frequency (24 kHz) omni sonar designed for navies operating in shallow and/or deep water. The narrow beams maintain excellent performance in shallow water, while the operating frequency provides extended detection ranges in deep water. 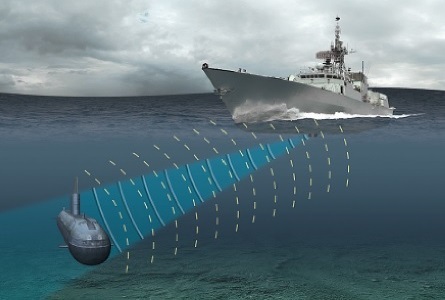 It integrates the hull mounted transducer with a digital transceiver to provide simultaneous active and passive digital signal processing, display processing and computer-aided target detection and tracking using CW or FM modulation.